Farmers are an ageing breed and we need radical action now to make farming sustainable for the future. That was the message I took away from a great event in Dumfries this week, run by Nourish Scotland around the Scottish Government’s consultation on the future of farming. The event was part of a series run by the food, farming and health organisation which have been taking place around the country. Attended by everyone from smallholders to large scale dairy producers and food producers to food policy fanatics, the event was an eclectic mix. But from that mix, the messages were clear. Farming in Scotland is in crisis. Too many farmers are paid too little for the food they sell to loss leading supermarkets while demand for alternative shops is often too low to make them viable. The financial support from the Scottish Government to which people can apply in order to diversify and develop the land and the business they run is bafflingly complex, putting many off even trying. Those who persevere often have to turn to expensive private consultants to help them navigate the process. As a thirty-year-old, it’s people my age that the farming profession wants and needs to attract. But there are multiple barriers stopping people my age and younger from getting into farming. Lack of access to affordable land is the biggest barrier, with agricultural tenancies harder to come by and increasingly unattractive, particularly given the often poor treatment of tenants (see Andrew Stoddart’s case). The land reform bill ought to be going much further than the legislation currently does. We need to see large estates broken up and either sold off or leased. 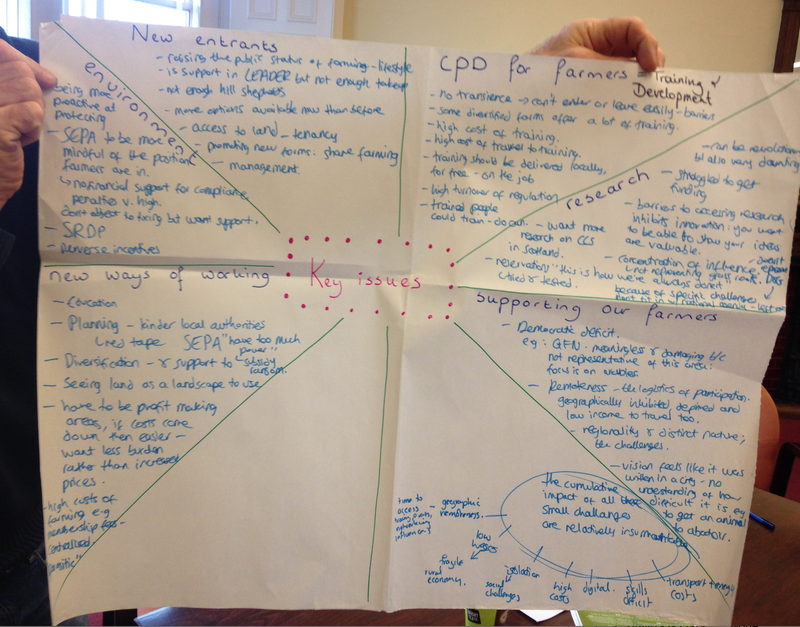 One really interesting idea at the Dumfries event was around whether a combination of the Community Empowerment Act and the land reform bill once passed could create a new kind of social housing operator – perhaps a cooperative – that would purchase land freed up from the breakup of big estates and lease it at an affordable rate to tenant farmers. For me, one of the big issues which has stopped me from seriously considering moving into farming, despite growing up on a small holding and then a farm, is that I don’t see people like me in that profession. That typical picture of a farmer – a ruddy faced middle aged white man – is still the image put forward in the media, and given the demographic challenge outline above, it’s not exactly unrepresentative. 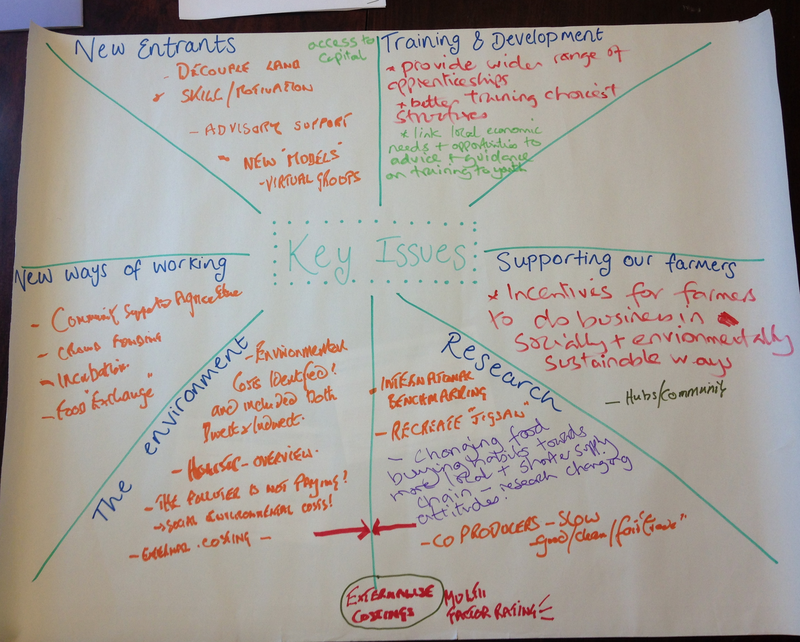 Organisations like the Scottish Association of Young Farmers Clubs are doing what they can to change that image. Recently I had the privilege of hearing a couple of fantastic young female farmers who spoke at a meeting of the Cross Party Group on Rural Affairs. The issues they spoke about are things that I think young people across rural areas are passionate about: Access to learning and training opportunities; the chance of getting your first foot on the farming ladder with a tenancy or a wee bit of land; a decent broadband connection; affordable transport and a community around you that supports you. The challenges facing farming are many – interconnected and complex. But if we can crack even some of these issues, we’ll be well on our way to ensuring that the stewardship of the land and the production of good food can continue in Scotland, well into the future. Next > Hawick Knitwear – time for a buyout? What is Andrew Stoddart’s case?